Make Sure you Know Who's Talking about Your Company! In the age of instant access to online information, it is essential for a business to know what others are saying about it - both good and bad. For example, a physician will want to confirm the glowing review of a recent article is properly acknowledged on the Internet but also that a negative patient comment is immediately refuted or deleted. One way to monitor your organization's online presence is by setting up a "Google Alert" for your company name. Google Alerts are email notifications that are sent to your designated email address when Google finds new results for specific search terms (i.e., company or owner name). Each email contains links to the web page(s) where Google found your search terms. By setting up such an alert, you can track developing news related to your organization in real time. This will be especially important in forming a strategy to combat negative press, when timing is of the essence. Google Alerts should not only be established for your organization as a whole, but also for all officers, owners and other important figures within the organization. Furthermore, any company trademarks, products or taglines could also be included in an alert. In addition, it would be prudent to set up alerts for your competitors in order to learn what is being said about them. If you have any questions concerning the procedure for setting up Google Alerts or assistance in responding to negative "hits" you receive, please contact us. It is important to understand that Google Alerts are not perfect. Google does not guarantee that every instance of a search term will be found. 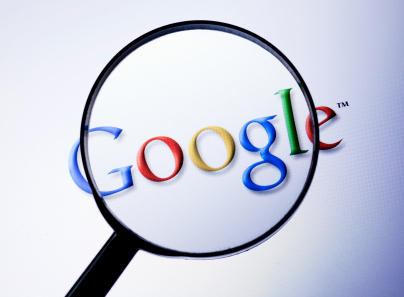 You can only get alerts from data and info that has been indexed by Google. Nonetheless, Google Alerts are a good place to start when you are monitoring your organization and your competitors' organizations. For more information on how to create Google Alerts, click here. You can also find helpful Google Alert advice by simply Googling "Google Alert tips." With a business-minded approach, and service-oriented delivery, Mindi helps clients navigate challenges and solve problems in the areas of employee benefits law and health care law. Mindi has spoken and written extensively on employee benefits, health care reform, and health care law topics, and is actively involved in a number of legal, professional and industry organizations focused on these issues.